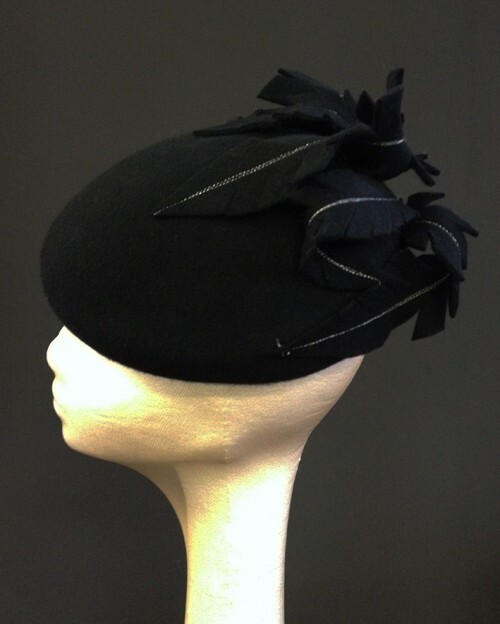 Couture by Beth Hirst Black and Silver Feather Beret from Ascot Hats 4U. 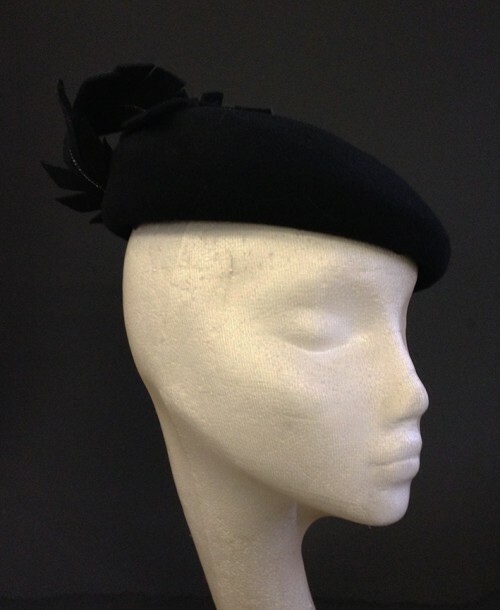 Black wool felt beret which sits on the top of the head and covers the whole top of the head, with hand cut and shaped felt feathers with silver stitching details at the back of the hat. 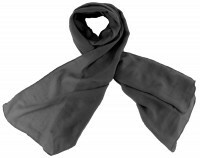 Lined in silk. 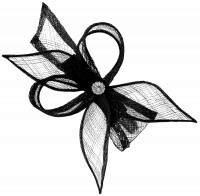 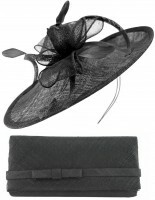 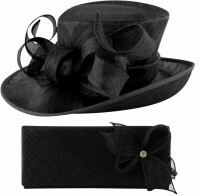 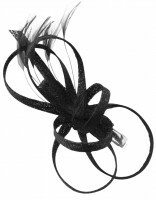 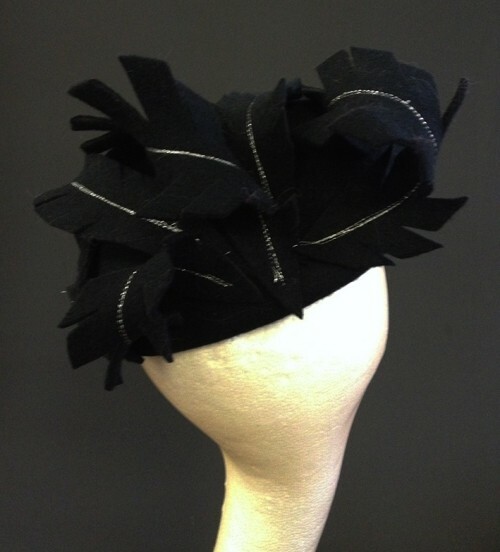 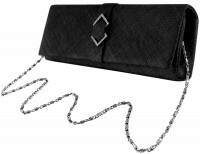 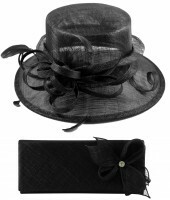 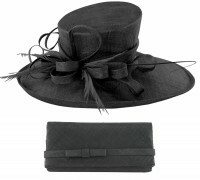 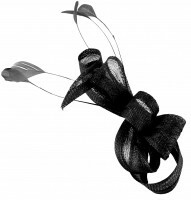 Perfect for autumn winter races, weddings or everyday Mounted on a hat elastic, which is easily hidden under your hair. 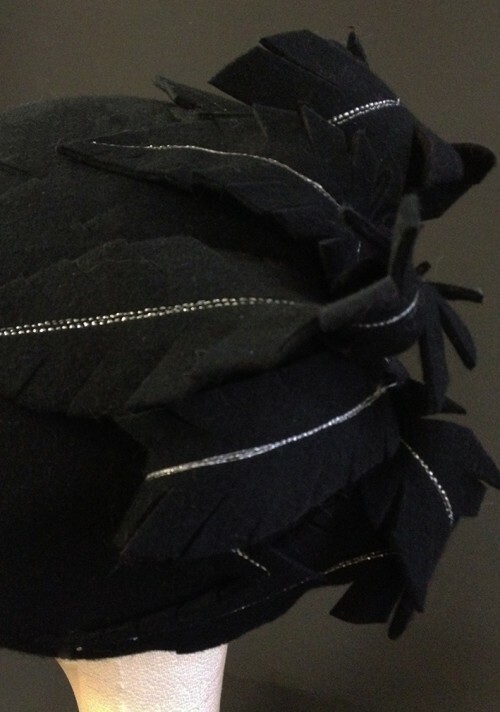 Completely hand blocked and hand stitched, each piece is individually lovingly created so you know you will be the only one wearing anything like it.